Roxy Palace Casino Online is one of the most popular Online Casinos for our readers. 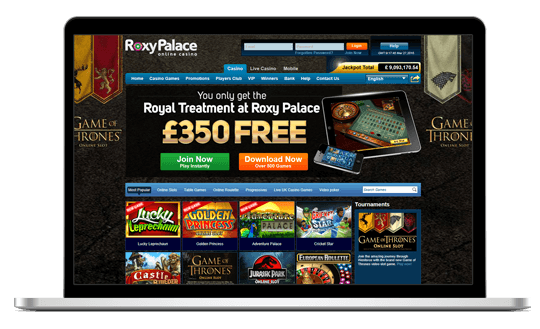 This is simply because Roxy Palace has a plethora of things to offer every one of their online gamblers. From great progressive jackpots to stunning variants of roulette and more, you will be spoilt for choice. The casino has a fully functional mobile casino and flash version of their favourite downloadable casino. You will be able to enjoy the thrills of this great online gambling den. Roxy Palace has a Welcome Bonus of up to $350 Free that you can claim over the two deposits. Contact them on 1-800-838-074. They’ll match the first 100% up to $150 and second 25% up to $200 deposits. However, the minimum depositing amount is as little as $20. Use your freebies to take a spin on more than 500 games on offer. Roxy Palace’s theme is somewhat uninspiring with a blue gradient throughout the site. The casino site is salvaged by the aesthetics of the Slot grid on the home screen. It displays the latest Slots and offers large graphics on top of that. In a way, the uncluttered layout is entirely fitting. All the links and tabs readily available, saving you time so that you can get back to what matters – gaming. The top three tabs give you an option of playing at the casino, the Live Casino or if you’d prefer to play at the mobile casino. There is also a dedicated page with more info is available. Being a prominent casino, one can certainly assume that the Bonus structure is nothing to sneeze at. The Welcome Bonus worth $350 comprises of a 2-tier deposit where the player receives the first match of 100% up to $150 on their initial deposit, the second match awards the player with 25% up to $200. Those not too keen on dropping a large amount from the get-go can opt to deposit a minimum of $20 per deposit. On top of the Welcome Bonus, players can also expect a number of bonuses and weekly promotions. More so, there is the Players Club that every depositing player is automatically a part of. It allows them to earn Players Club Points for every wager they place. The points are redeemable for casino cash at any time. A previously stated the customer service and support are adequate with a toll-free number and a call-back feature. Both services are available 24/7 and players can also consult a FAQ section highlighting common issues and their remedies. Roxy Palace Casino accepts a multitude of online casino deposit and withdrawal methods that are not only swift but also secure. The casino emphasises their dedication to keeping all transaction secure and zero-risk experience. Players can expect to take advantage of transaction options such as credit card, debit card, Neteller, UKash and PayPal amongst others. There are also a number of currencies that the Roxy Palace casino accepts. Naturally, the casino sport a multitude of Microgaming™ Slots and players are truly spoilt for choice with over 400 Slots. The games page offers the player the chance to choose between the most popular, newest, 5-Reel, 3-Reel and Progressive Slots from the drop-down menus easing the pain of tracking down your favourite style of Slot. If Slots isn’t your thing, then you’ll be happy to find a rather large selection of Table Games that include Baccarat, Blackjack, Craps, Roulette and Video Poker. If that wasn’t enough for you also have the option of gaming in the Live Casino where you’ll be able to vie against live dealers and experience real-time action against other players and the chance to win some incredible cash prizes. The Live casino features Baccarat, Blackjack and Roulette. 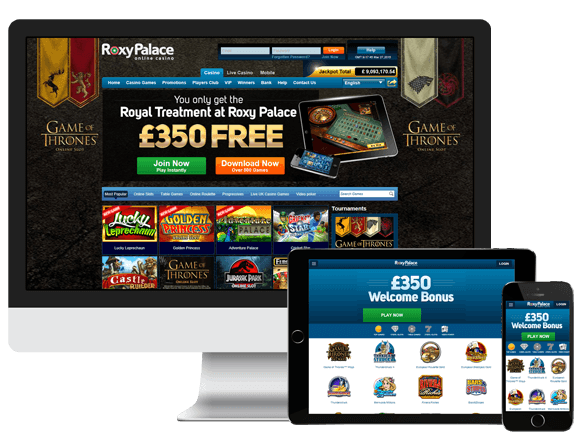 Roxy Palace has recognised the need for a mobile casino in their midst and as such have released their version of Roxy Palace Mobile Casino. This is an incredible offering for all players as you now can gamble on the go as a player. Whether you’re travelling to Perth, Melbourne, Brisbane or even further, you will have the pleasure of playing at Roxy Palace Casino from your mobile device! Roxy Palace allows players to play directly from their browser. 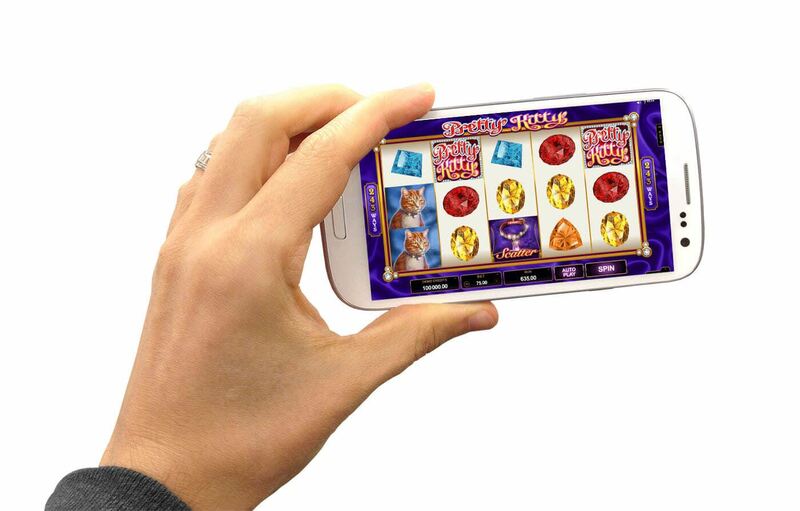 This also allows players to enjoy the casino from their mobile devices. The Flash casino offers you around 120 different games to enjoy, which may not be as much as the full casino, but should still be plenty to keep people occupied for many hours. Roxy Palace has made sure to get itself licensed and regulated to prove to players that it is a legitimate online casino. The casino is also regularly tested for fairness, to ensure the games are 100% random and not favouring the house any more than they should. Players can also rest easy as Roxy Palace Casino has the best protection in place to prevent your private details from being accessed by other people and stolen. After careful consideration, I’ve decided to give this casino a rating of 4 out of 5. The very reason that this casino lost 2 points is because the customer service and support isn’t up to snuff. Let me explain. I would have expected an instant chat function or even a Skype feature. However, I’ve had to settle for an 0800-number and a callback function which I feel is a tad disappointing. The banking, gaming and software deliver the goods, and I really can’t find fault with it. The banking side of things is quite extensive with a number of ways to deposit and withdraw your money. The gaming selection is enormous with over 500 titles with a good selection of Slots and Table Games. As for the software you really can’t complain about Microgaming™. 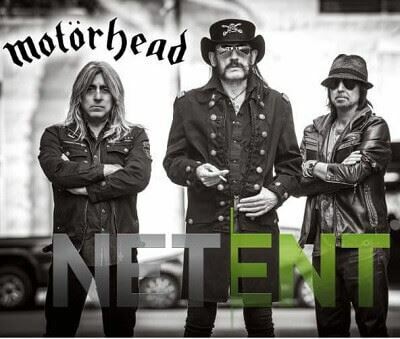 As a matter of fact, everybody knows they don’t mess around when it comes to speed and vivid graphics. If you’re after a large variety of games, a Live Casino option, a decent Welcome Bonus and reputable casino name, then you really can’t go wrong with Roxy Palace Casino. If the standard fare of games doesn’t tickle your fancy, you can also check out the casino’s vast array of Scratch Cards.You can also try their Alternative Games for the more adventurous player.